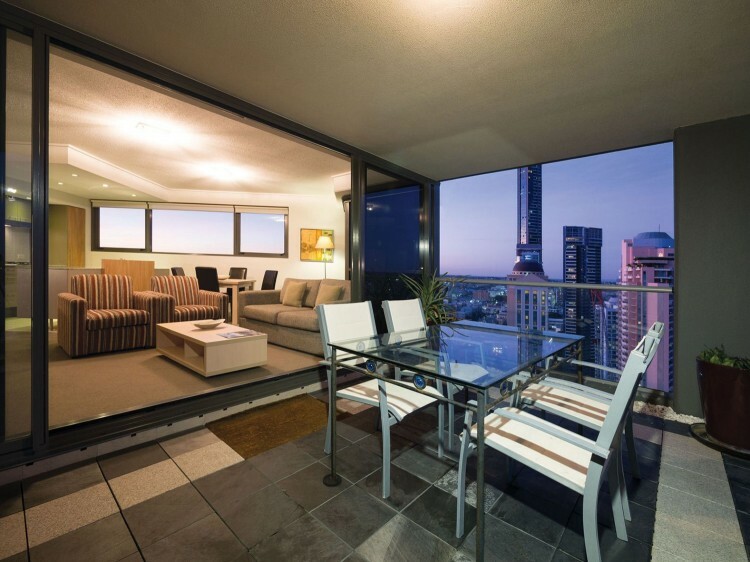 Within walking distance of all that Brisbane has to offer, Oaks Aurora Tower is a modern 69 storey landmark building popular with business travellers. Hailed as a masterpiece of inspired design, the hotel is superbly appointed with resort-style amenities and commanding panoramic city and river views. 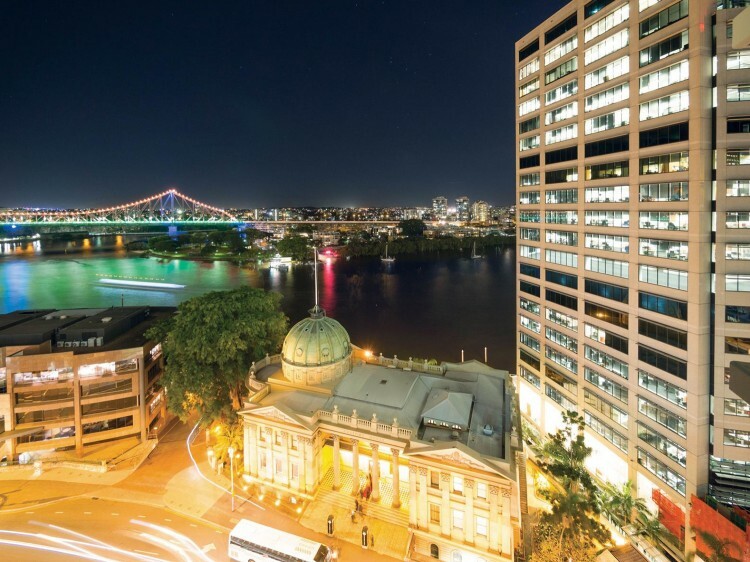 Just minutes from the Oaks Aurora Tower is the CBD, historic attractions, South Bank and the city’s myriad cafes, shops, restaurants, theatres and nightlife. Split level 3 Bedroom Apartment with river or city views .